Echo Publishing will publish a sequel to Heather Morris’ bestselling novel The Tattooist of Auschwitz in October. 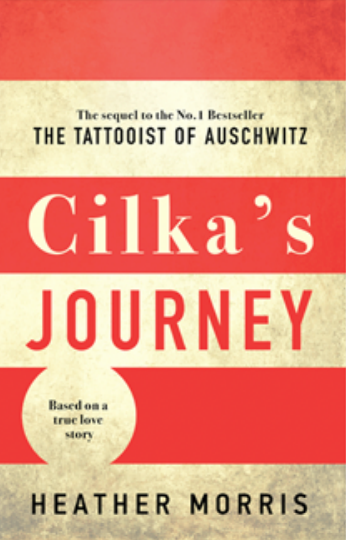 Cilka’s Journey follows the story of one of the key characters from The Tattooist of Auschwitz, teenager Cilka Klein, who saved tattooist Lale Sokolov’s life. Selected on her arrival at Auschwitz by the commandant of Birkenau because of her beautiful long hair, 16-year-old Cilka is forced to do what he tells her. On liberation, at age 19, she is charged by the Russians as a collaborator. Cilka is then sent to a Siberian gulag, where she confronts unwanted attention from the guards, but also tends to the ill people in the camp, caring for them under brutal conditions. Cilka’s Journey will be published simultaneously in the UK through Zaffre. The Tattooist of Auschwitz has sold more than 180,000 copies in Australia and New Zealand. The novel remained on Nielsen BookScan’s Australian top 10 bestseller lists for 24 consecutive weeks and was listed at number six for all books in 2018. In the UK it has remained in the top 10 fiction hardbacks on the Sunday Times bestsellers list for over 25 weeks. Synchronicity Films announced in September last year that it will adapt Morris’ first book as a television drama miniseries.